Whether it be for investment, for rental or personal, there is an obvious increase in house and property buyers in the most recent years. Before running out to make an offer and a purchase that lovely house you saw in that amazing Louisiana neighborhood, there are many considerations to make and things to observe. For example, one of the most common mistakes made by first-time home buyers is the failure to take rates into consideration. Choosing the best Realtor with low commission, who is knowledgeable with the processes, the market and understands best practices to ensure the highest level of content for clients. For first-time buyers in Louisiana, the Louisiana Real Estate Commission (LREC) offers many assistance programs for a seamless process. One of the most crucial aspects of your process when ready to buy a home is choosing the right Realtor, a Realtor that can present the best options to fit in your life. It is important to choose an agent that is looking to match you with a home or property that best fits you and not one just looking to make a sale. To do this effectively, searching should include figuring out the necessary credentials for a Realtor, conduct interviews for potentials, browse current listings and review agent or agency’s online presence before making a decision or entering a contract. If purchasing in the state of Louisiana, salespersons must obtain a high school diploma or GED, be at least 18 years old, complete 90 hours of education, comply with LREC application procedures & background check, pass a licensing exam and be sponsored by a broker. Even with homeowners looking to sell a home, these requirements are necessary for all Realtors, above being a good fit for your needs. Whether looking to buy a home or even sell a home, the real estate agent must have knowledge or expertise on the market, processes, and mistakes. Most Realtors will agree that a common first-time buyer mistake is the miscalculation of interest rates and not having enough as down payment. It is typically recommended to invest at least 20% of the value of the home you’re looking to purchase as down payment. There are loan programs that offer the opportunity to purchase with between 0 – 3.5% as down payment, but many who took this option have since expressed regret. Most first-time buyers or buyers under the age of 35 agreed that waiting to accumulate a bigger down payment would have been ideal. Discussing the best approach and practices in regards to down payments and overall rates with your Realtor and loan company is paramount. Another common mistake first-time buyers make while purchasing a home is not considering USDA and FHA loan programs. 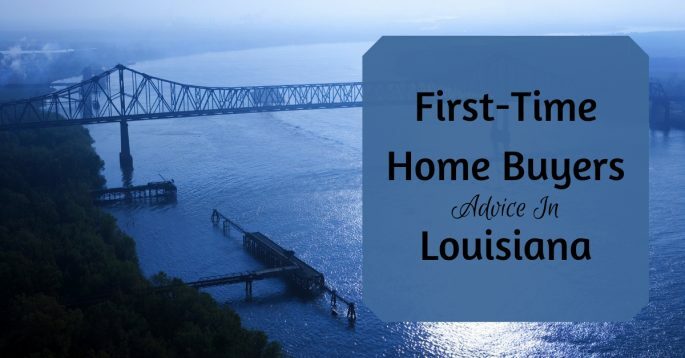 Buying a home can seem like a scary and lengthy process, but purchasing in a city like New Orleans could potential mean landing in a neighborhood close to rivers and lakes with never ending possibilities of activities and history. In a state like Louisiana, a program like the Federal Housing Administration (FHA) loan program gives those with low credit scores the opportunity to purchase with only 3.5% down and a credit score of 580 or higher. The USDA loan program is a buyers assist program that offers mortgage guarantees to lenders looking to fully finance in rural areas. If looking to purchase in New Orleans, there are Louisiana Housing Corporation (LHC) first-time home buyers programs such as LHC Choice Conventional program, Market Rate GNMA program, Mortgage Revenue Bond Assisted program, Mortgage Credit Certificate program, Delta 100 program, LHC Home/MRB program and more. There are many options that offer assistance to first-time buyers to ensure an efficient process. There are countless situations that shock first-time home buyers, but there are also certain steps that can be taken to reduce the effects of the shock. As the thought of owning a home or investing in real estate for the future is very exciting, it is important to take a step back and consider the necessary procedures that will ensure a seamless outcome. Efforts such as taking time to save at least 20% of the home’s worth, considering and applying for loan programs, finding the perfect Realtor that is knowledgeable and will help with each process; buying, selling, support, or information. As a first-time buyer, it’s time to make sure a Realtor is fully certified, and realizing that the process is not a race and landing on the perfect fit might take time and hard work. The market is constantly evolving, which makes now the best time to start saving or even browsing potential homes for the future. 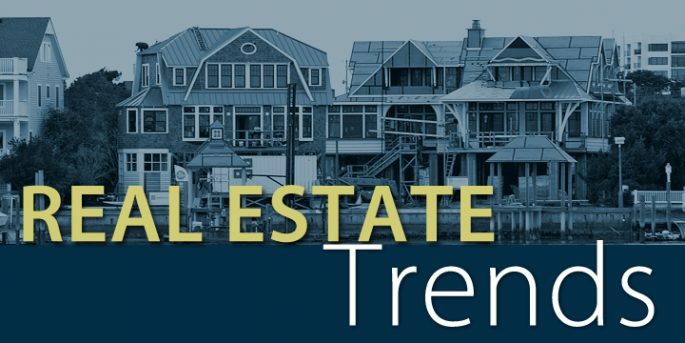 Some analysts have predicted a positive growth in real estate over the next few years. Others disagree due to the nature of the market in 2017. According to a group of professionals in real estate who met in Los Angeles earlier this year, there was a slow growth in the industry in 2017. The meeting compiles 800 interviews with the market players and more than 1500 surveys from the sector. Today, we’ll discuss some of the trends that are in the market. The interviewees pointed out that the demand for affordable housing has increased tremendously. Many experts agree that there are still many challenges in the sector. The increase in the number of single-family homes. According to statistics, the number has been increasing over the years, unlike what many people think. The homes are offered at affordable prices, and this has benefited many low-income earners. Some experts have urged investors to venture into low-cost housing as it has shown immense potential. The main targets for these projects are the young adults. By identifying strategic locations, good pricing and installing appropriate amenities, the investors are likely to reap high returns. Slow growth due to economic changes. The changes in the economy occur from time to time. Recently, the economy has not been performing well, and many investors have fears that their investments may not yield good returns. Some economic analysts have predicted tough times in the future while others are optimistic that there would be an improvement. The analysts who believe that there would be good times ahead point out factors such as low unemployment and high prices for the assets. Many developers are adopting more conservative strategies to remain competitive. Due to these developments, the industry has experienced a steady but slow growth over time. Every firm aims at increasing the productivity of its workforce. To achieve that, the property developers are adopting practices such as regular training, providing adequate working space and improving the working conditions. For example, most firms have incorporated technology in service delivery to make work easier and to provide quality services to the clients. The practices help to boost the morale of the employees and eventually the growth and expansion of the firm. The demographic changes in the economy. The demand for products in any sector is highly affected by the changes in the size and composition of the population. According to statistics, the number of post-college clients in their early 20’s has increased over the years. The clients prefer an urban lifestyle despite the debts that have accrued from their student loans. Therefore, the property developers are encouraged to take advantage of the opportunity to cater to their needs. Some scholars argue that the age group likes to try out new things in the markets. According to some experts, the young adults are easy to convince to buy a home than the more elderly population. Most people in their early 20’s tend to be poor financial planners. A survey conducted in 2016 showed that 37% of them find it hard to save anything more than a few thousand dollars, if that. One of the strategies that the developers are using is to collaborating with buyers to make purchasing a home easier and more affordable. Statistics have indicated that more than 70% of the American population will have reached their retirement age by 2030. The growth of the secondary markets. According to statistics, the secondary markets have had a faster growth as compared to the primary cities. The main reasons for the development include the fact that many investors are now more informed on the modern practices and are taking advantage of it. Most cities have exhibited positive growth, and this is expected to be the case in the long run. Traditionally, the secondary markets have not performed well. There is an appreciation of the assets in the secondary markets, this has presented a good opportunity for investments. Many investors are now venturing into the sector hoping to get good returns in future. The adoption of high-level technology. Just like any other sector in the economy, the use of new technology for quality service delivery and boosting productivity is gaining prominence in the housing sector. It is common in both construction and in architecture where the experts are now using 3D printing for their projects. The use of new technology is expected to help in bridging the gap in the demand for affordable housing. It has also helped to speed up the completion of projects. Previously, the number of professionals in the construction industry has been very low and this has led to delays in delivery of completed homes. The government has proposed several tax reforms that are expected to affect the whole economy, including the housing sector. The changes will be implemented after a lengthy legislative process. Many players in the market have proposed the reduction of taxes. Some developers have argued that if implemented, the reforms are likely to make housing unaffordable to many residents. Many individuals expect that the tax reforms will make it easy for the developers to sell a home. For more information on tax reforms, contact your local certified accountant, and for information about home market trends and local real estate activity, contact your local trusted real estate professional.